The Congress will bring in legislation to ensure reservation to the Patidar community without making any changes to the existing quota of the backward communities, the party said on Monday in its manifesto for the Gujarat elections. "Without affecting, reducing, making change in the present 49 per cent reservation of backward communities, Congress party will introduce a Bill in the assembly at the earliest and under article 46 of the Constitution and keeping in view the provision of Article 31 (C) for fulfillment of above," reads the manifesto. "Under the Bill the communities specifies under the Article 46 and which have not received any benefit article under 15 (4) and 16 (4), to give them equal opportunity for education and economic development will be conferred all the rights given to OBC under this special category. 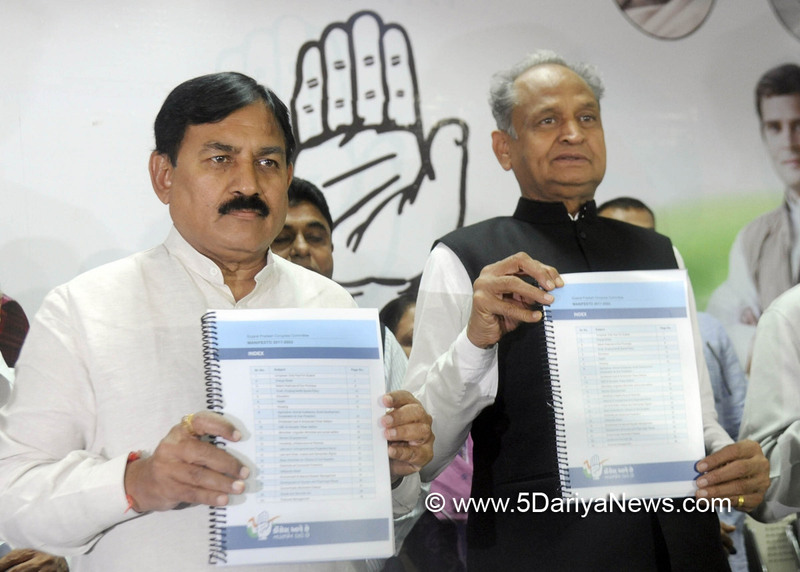 "The manifesto was released by Congress General Secretary in-charge for the state Ashok Gehlot and the party's state president Bharatsinh Solanki. "Under this Act to identify the communities to be included in the special category, the state government will hold consultation with all stakeholders and will appoint a commission for the same" it said.Patidar Anamat Andolan Samiti (PAAS) leader Hardik Patel had last week said the country's Constitution did not limit reservation in employment and education for certain categories to 50 per cent.Apart from this, Congress party announced formation of an EBC commission. The same commission will also help in meeting the objective of providing equal opportunity for the educational and economic development of the deprived people among the upper castes, the party said.